This super quick low carb egg and ham recipe is made in the microwave! Breakfasts can be a real effort, especially midweek. I often have a stash of hard-boiled eggs ready to go in the mornings – combined with a low carb tortilla and pre-cooked bacon it can be a super speedy breakfast. But if I want something hot or don’t have any eggs prepared, then this recipe is a great alternative. Minimum preparation, quick to cook, and tasty and filling to eat. Not only that, it’s very versatile depending on what you have available! Here I have used eggs, grated cheese, ham and black pepper. In a microwave-proof bowl, whisk the eggs together. Chop or tear up the ham and add it to the bowl, then add some cheese. Grind some black pepper over. Place it in the microwave for about a minute (you’ll have to find what works for your microwave). Give it a stir, then microwave again for 30 seconds. Check that the egg is cooked to your liking, and you’re ready to eat. The whole thing can be done in 5 minutes including eating! 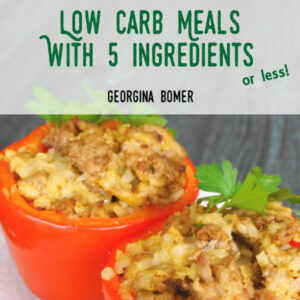 Instead of the ham you could use crumbled cooked bacon or finely chopped cooked sausage. Add any leftover cooked vegetables too for added flavor and vitamins. This breakfast really isn’t about care and loving attention – it’s about having something quick and filling (oh and low carb!) when you haven’t got much time in the morning. Place the eggs in a microwave-proof bowl and whisk. Add the ham and cheese to the eggs, and season with black pepper. Microwave for approximately 1 minute until starting to set. Stir, and cook for another 30 seconds or until eggs are cooked as desired. 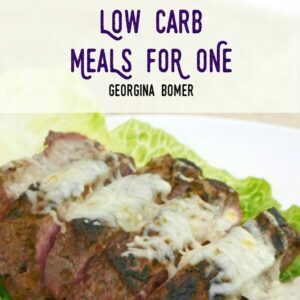 Check out my Low Carb Meals For One Recipes Ebook! 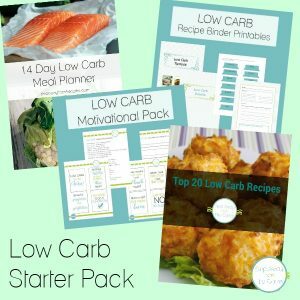 Are you the only person following a low carb diet in your home? Check out my book!